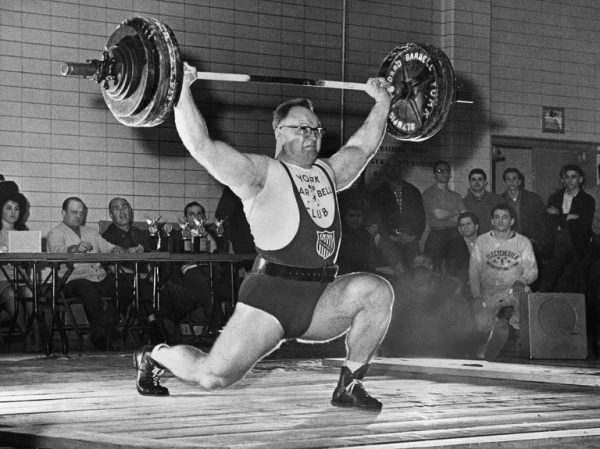 He is considered the last heavyweight weightlifter to not use performance enhancing drugs. recovering from two back operations to repair damaged disks. But the injuries did not deter him. then in 1964, in Tokyo, to bring home the bronze again. athlete I have ever seen,” his Cold War rival Yuri Vlasov of Ukraine said in 1964.
he wants. Fire him.’” Schemansky quit, went to Helsinki and won the gold medal. mispronounced my name, but he knew who I was.” Schemansky took a bus home alone. small gym on Woodward Ave. in the 1960’s, for serious weightlifters. Pamela (Steve) Petro, Larry (Lilly), and Laura (Bill) Rowe; 10 grandchildren and 16 great- grandchildren.